Rated 4 out of 5 by AMC is me from Pleasantly surprised I've dyed my hair for many years. What impressed me with this product is that it looks great, is easy to use, and the cost is quite affordable. One of the absolute best aspects of it is how easily it rinses out... no more standing in the shower for 20 minutes trying to coax product out of my hair! the only reason I deducted a star is because I found the included conditioner to be not so great so I use a separate deep conditioning product after rinsing instead. 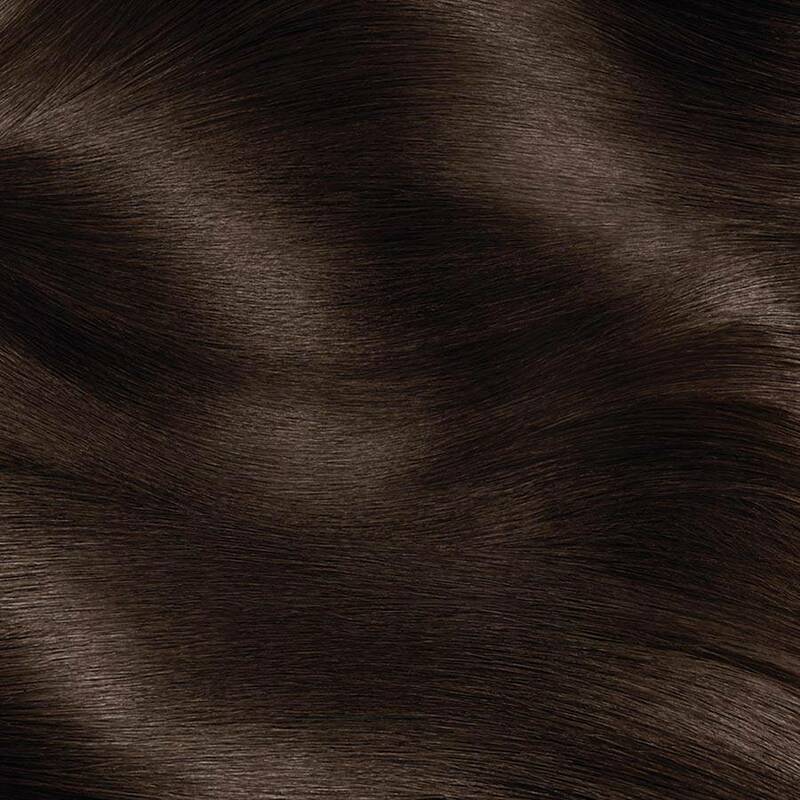 Rated 5 out of 5 by BELLA C from Bianca C I wanted to try something new so I got the dark brown color. I'm no pro at hairdying but it looked so natural and healthy I was so surprised !! Rated 5 out of 5 by TaninaC from I loved this hair dye! It covered all my greys and I received numerous compliments about my hair. Rated 5 out of 5 by Anonymous from Coverage was amazing, left my hair beautiful and moist! Rated 5 out of 5 by JeanneG from I thought this color looked great. The brown was rich and it made my hair look so much healthier. I would definitely use this color again. 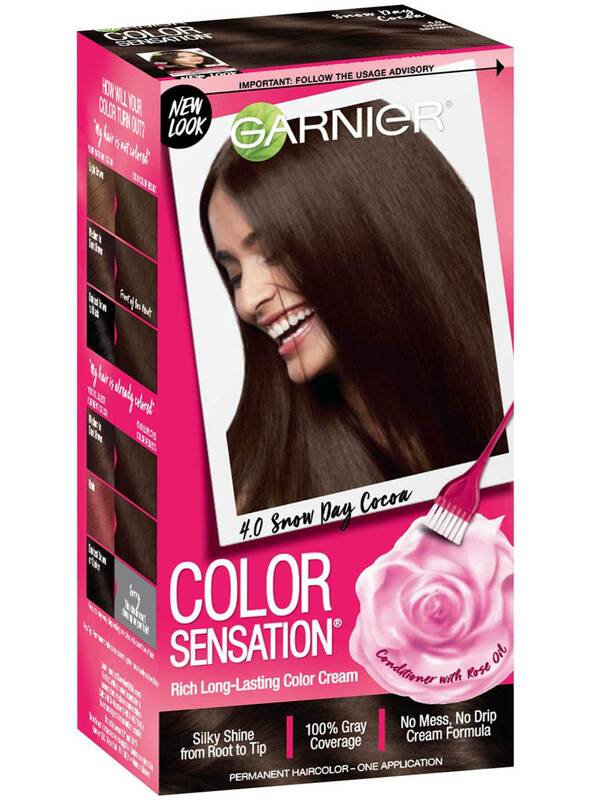 Rated 5 out of 5 by Anonymous from I really enjoyed my experience using Garnier Color Sensation in shade Dark Brown. The steps were super easy to follow, my head felt comfortable while using the product, and the ending color was simply exquisite! I have a fairly sensitive scalp and in no way did this dye irritate my scalp at all. Plus there were no harsh chemical smells to battle either, pretty pleasant overall I must say. The color came out very rich and shiny and the conditioner that accompanied the kit made my hair feel so super soft and ultra manageable. Afterwards, my hair looked and felt really nourished and healthy. I have received so many compliments on it since! I would highly recommend this product. Rated 5 out of 5 by Anonymous from I am impressed with gardnier color sensation. It has made my hair so soft and even feels thicker. And I have very fine hair. I love it!